What are Some Tips for a First Date? Attending a matinee at a movie theater is a common first date activity. Women often twirl their hair and look over their shoulders when they are flirting. Couples should avoid feeling pressured to be affectionate during a first date. A good first date involves an activity both people will enjoy. Getting a cup of coffee at a local shop can be an inexpensive first date option. The focus of a first date should be on getting to know the other person. Couples on a first date should moderate their alcohol consumption. A picnic is an inexpensive and thoughtful first date. A first date can be a lot of fun if you remind yourself that it's an opportunity to learn more about a person you find yourself attracted to. If you worry whether it will lead to a relationship or not or try too hard to impress this new person, you're likely to find the fun factor missing. While it's normal to be nervous before a first date, keep your expectations low and your wits about you. The most important thing is to be yourself. Trying to impress someone usually doesn't work anyway and the whole idea of a first date is to see if there is natural chemistry between you or not. If you aren't being yourself it gives your date a false impression and it’s likely to start things out on the wrong foot. Rather than try too hard to impress, do be considerate while being yourself. Also avoid talking too much or too little. You can accomplish a nice balance between the two by asking questions and taking time to really listen to the answers. If you ask your date a question such the number of siblings he or she has then your date is likely to ask you a similar question and this type of conversation can help break the ice. Naturally, you don't want to ask questions like a drill sergeant, but rather show a genuine interest in learning more about your date's background and passions. If you share common interests such as a certain television show, band or singer, this can also keep the conversation going. 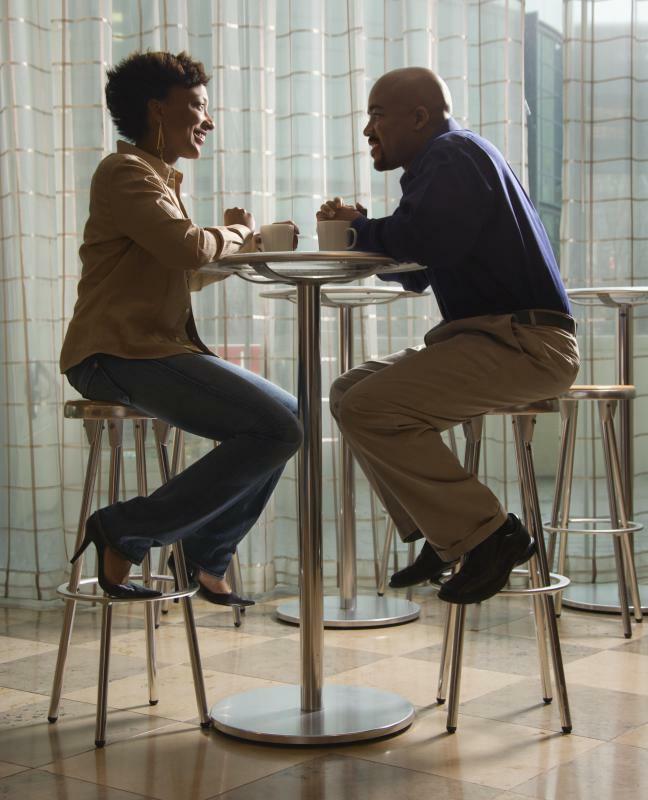 The main first date rule as far as conversation topics is concerned is to avoid constantly mentioning your ex-boyfriend or girlfriend. Even if you have no further interest in your ex, if you keep bringing him or her up your date is likely to wonder whether you're really over that person. On a first date, just think before you speak and get to know this person a little better to find out if you'd be interested in a second date or not. What Should I Know About Blind Dating? What are Some Online Dating Safety Tips? What Should I Know About Online Dating? for sure just be yourself because then you don't have to lie about who you really are, which leads to you not having to sweat bullets, when your date finds out you have been lying to them. How do you imply to a certain special somebody that you wish to go on a first date?